Hello everyone, I just got back from Bali with friends and it was one of the best holiday ever, ever - Not a moment was spent without laughter! 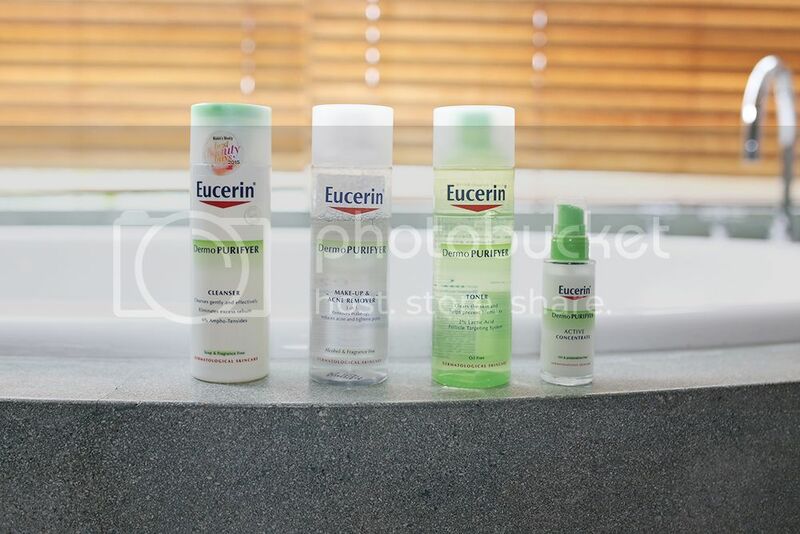 Brought along all the Eucerin products (Because I was still in the midst of the Eucerin 30-Day Challenge) blogged about previously here and I need to stress that the Active Concentrate is a life-saver! Can you tell that I've been religiously feeding my skin with these products judging from what's left of the bottles? I get pimples whenever my period is nearing and on the 2nd night in Bali, I felt a bump rising on my right cheek so after cleansing, I immediately applied a generous amount of the Active Concentrate over the bump and the next morning, it disappeared! I didn't even have time to take a before & after picture! My holiday would surely be dampened if it forms into a pimple D: I don't know about you, but my self-esteem drops whenever I get pimples - I wouldn't feel like taking pictures or even meeting anyone. Although it didn't completely clear up the blemishes on my chin, it has effectively lightened those spots. I also love the formula's malty texture and I can use it on a daily basis without worrying that it'll dry up the skin! The Make-up & Acne Remover is my favourite product out of the 4 I received! It cleanses optimally, doesn't make my skin feel sticky nor tight after application and to add to its awesomeness, it doesn't require rinsing (On very lazy days)! Really, just what more can I expect from a make-up remover? I am still trying to get used to incorporating the toner in my daily skin regime because it is an important step in opening clogged pores to prepare the skin for better absorption of the subsequent products I apply to my face. 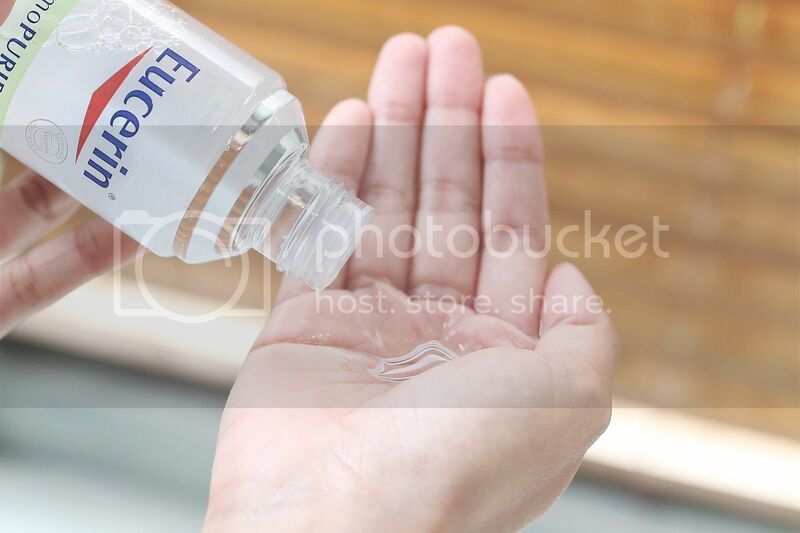 What I like about Eucerin's toner is that instead of leaving my skin feeling dry (Like most toners I've tried), it made my skin feel moisturized and refreshed! 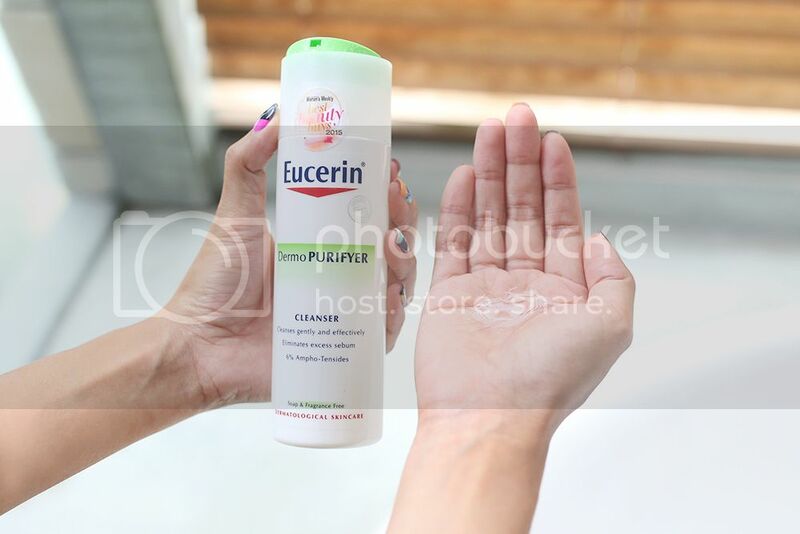 Last but not least, the Eucerin DermoPURIFYER Cleanser that makes cleansing my face an effortless task! I used to be extremely cautious whenever I cleanse my face because of my lash extensions but ever since I was introduced to this cleanser, it has never been easier! It doesn't matter if the product gets in my eye simply because it is SOAP FREE and will not irritate my eyes! That said, my 30-Day journey with Eucerin has been a great one and I'll definitely continue to use these products in my skincare regime! If you've been battling acne problems, open yourself to one more option!